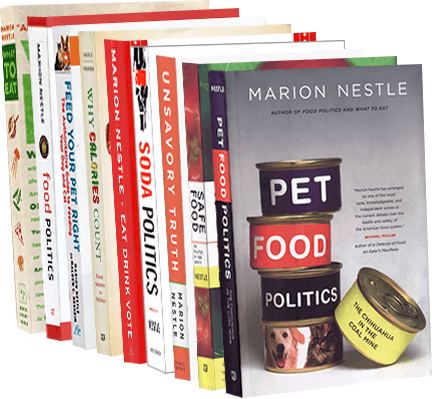 Food Politics by Marion Nestle » The dairy programs in the farm bill: A helpful analysis? The dairy programs in the farm bill: A helpful analysis? Thanks to the Hagstrom Report for sending along analyses of the dairy programs in the farm bill. I’m not a dairy farmer and I’ve never had to work with these programs, which is a good thing because I find them impenetrable. For one thing, support for dairy farmers—and protection against disastrous cost and price fluctuations—is accomplished through several extraordinarily complicated programs that survive or are newly enacted in this farm bill. The permanent Dairy Price Support Program from the 1949 farm bill. A voluntary program that pays participating farmers an indemnity when a national benchmark for milk income over feed costs (the actual dairy production margin or ADPM) falls below an insured level that can vary over a $4 per cwt range. The two new programs (MPP and DPDP) offer a total revamping of the safety nets that have been in place for the dairy sector going back to the middle of the 20th Century…Whether the programs proposed here will prove to be the answer farmers seek is something that will be debated and estimated, but we won’t really know unless and until they are tried. Dairy farmer readers: Will these new programs make your lives easier? More secure? Bring you more income? Program on Dairy Markets and Policy — Information Letter: The Dairy Subtitle of the Agricultural Act of 2014 by Marin Bozic (U. Minnesota), John Newton (U. Illinois), Andrew M. Novaković (Cornell), Mark W. Stephenson (U. Wisconsin), and Cameron S. Traen (Ohio State). (Audio) Just Waiting for a Signature: Discussion of the New Farm Bill (conversation with Stephenson, Andrew Novaković, and John Newton). Working Paper: Price Discovery, Volatility Spillovers and Adequacy of Speculation in the U.S. Dairy Markets (by Marin Bozic and T. Randall Fortenbery of Washington State University).